I suppose I have missing out on the joy baking a fruit tart as I have been relying heavily on Sara Lee for doing most of the baking on my behalf. 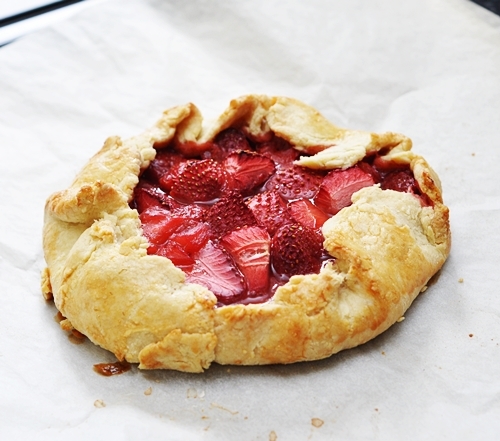 I must admit I never knew the existence of a galette until I ventured into the blogging business. After all it’s hard to miss if you start following Tastespotting, Foodgawker and Foodbuzz on a daily basis. Obviously my perception of rhubarb is far from being true. Firstly, it doesn’t taste remotely to celery; secondly, its tartness provides a counter taste from overly sweet tart filling which to some people is a good thing (myself included); and I’m also loving its natural pale pink colouring which adds a touch of girlish charm to my tart filling. 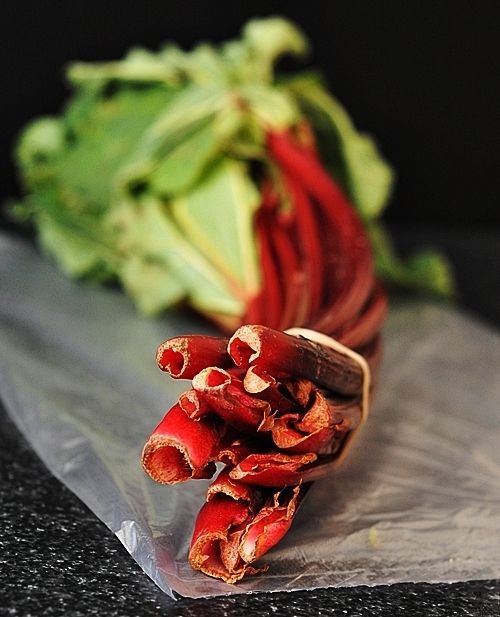 Since it is quite a versatile vegetable, you can do so much with rhubarb i.e. as compote for yoghurt and ice cream, its juice extract can be made into elegant rhubarb jelly, crumble and in my case, a simple pastry called galette (or I like to think as a free form pastry). 2. Mix plain flour with 2 tbsps of water and add in to the mixture. Let it simmer further until the sauce thickens (look something like baby food and it shouldn’t be watery). Set aside to cool. 1. Use a food processor, process all the ingredients together except the water until resembles fine breadcrumbs. 2. Since I have a small food processor, what I’ve done was to transfer the breadcrumb like mixture into a mixing bowl. Add a little water at a time until it becomes pliable dough (this requires some judgement call). 3. Rest the dough in the fridge for at least 30 minutes or more. 2.Roll out the chilled dough about o.5 cm thick (or your desired thickness). 3. 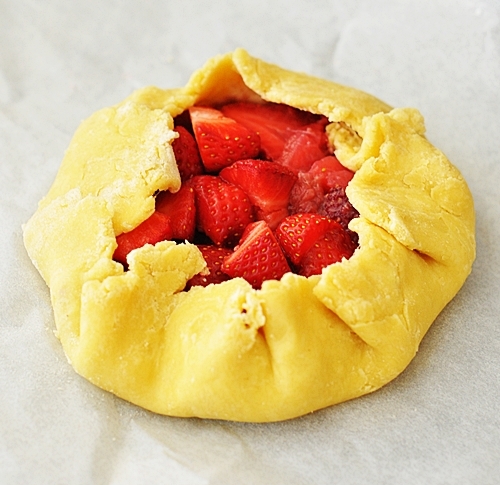 Mix the chilled filling with strawberries and pour the filling mixture onto the centre of the pastry, leaving 4 cms border. Fold the pastry edges onto the filling, form pleats to adhere the edges where necessary. 4. Brush the edges of the pastry with egg. 5. Bake in the oven for 30 to 40 minutes or until the pastry is deep golden brown. I definitely think rhubarb and celery look the same (except for the colour of course). The galette looks absolutely beautiful. HOpe you are having a wonderful weekend. I absolutely love rhubarb. It reminds me of summer and being little. 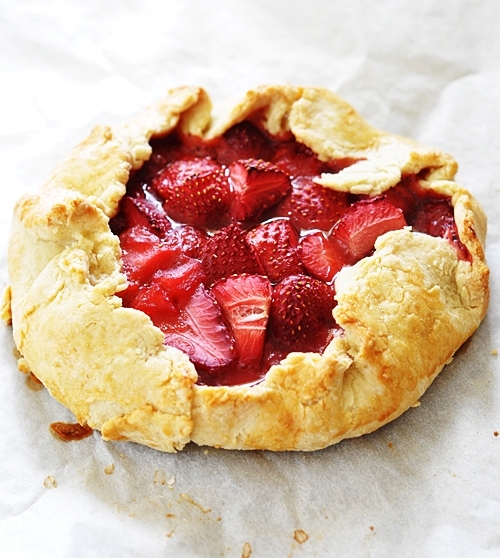 My Dad’s favorite pie is strawberry rhubarb so I think I may have to make this for him soon. BTW what is caster sugar? 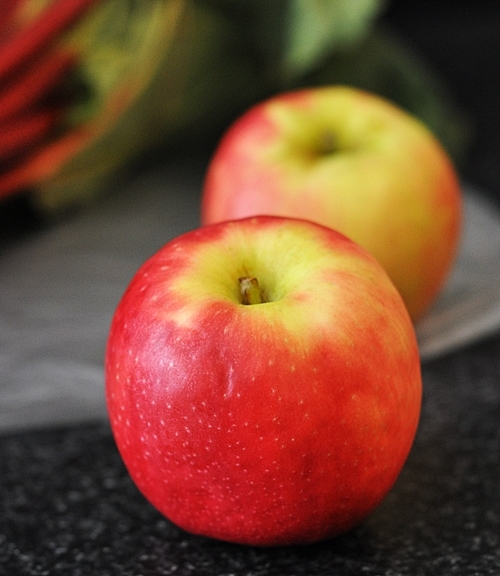 I love strawberry rhubarb anything…but the apples make this sound extra good! Beautiful galette! This one looks delicious. Love the pictures. Beautiful galette! I like your combination of fruits. It looks absolutely delicious! 3. What is Caster Sugar and it’s American equivalent? 4. What is 200 degrees Celsius in Fahrenheit? 3. Basically it’s very fine sugar which I believe to be sold as “superfine sugar” in America. Alternatively, icing sugar may work too. For your information, for every stick of butter is about 113g. So I think it’s easier to round it off to 226g (= 2 sticks) and also increase the flour content to 226g ( worked out to be about 1 1/2 cups). This looks amazing! 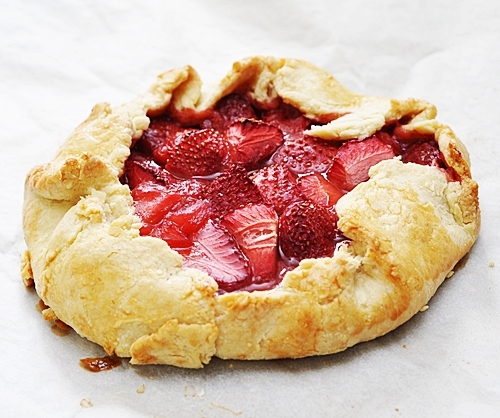 I’m not skilled enough to make a pastry though, so if I were to use a frozen pastry, what kind would you recommend? I’ll say short crust pastry. 🙂 Have fun baking!